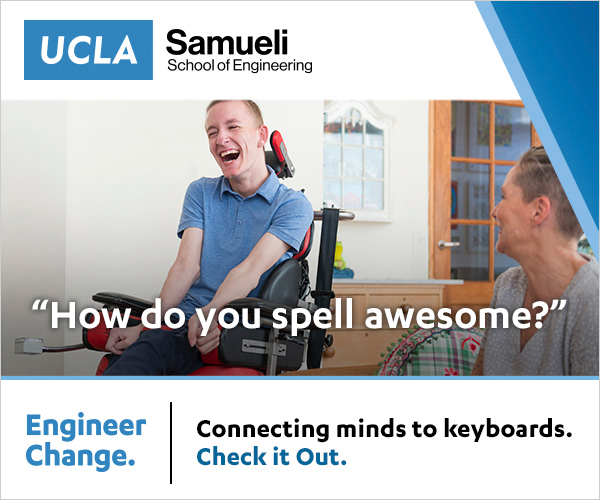 UCLA Samueli engineers are looking to build therapeutic devices that will connect directly with our brains. It’s just one example of our breakthrough engineering technologies in medicine. We are searching for new ways to develop new drugs much more rapidly. We are using AI to build cancer treatments tailored to the individual. We’re crunching big data to better understand how genetics impact disease and building nanoscale tools to effect better cures. Endeavors of this magnitude require a great deal of collaboration, and our research partners at the world-renowned David Geffen School of Medicine are just a few steps away. And while our work is largely conducted locally, our vision is global – supporting the health needs of underserved communities and developing countries around the world. Explore today’s latest technologies from UCLA Samueli that will improve healthcare and save lives tomorrow. The research group studies questions at the intersection of neuroscience and computation. Exploiting unique physics, microenvironment control, and the potential for automation associated with miniaturized systems for applications in basic biology, medical diagnostics, and cellular engineering. Research in stem cell engineering and mechanobiology, as well as tissue engineering and vascular remodeling. Using a multi-disciplinary approach to develop microscale and nanoscale technologies with the ultimate goal of generating tissue-engineered organs and controlling cell behavior. Applying engineering approaches to develop therapeutic strategies that promote regeneration of healthy central nervous system tissues. Introducing fundamentally new imaging and sensing architectures to address the immediate needs and requirements of telemedicine for global health problems. Developing heterogeneously integrated functional devices and systems for biomedical applications. Developing techniques for solving the challenging computational problems that arise in attempting to understand the genetic basis of human disease. Improve our understanding and treatment of human disease by the analysis of big data collected in relation to the diseases.